So says Chris Helton of the Dorkland blog, writing on Bleeding Cool this week in his article “The Five Must-Have Gen Con Games“. We’re totally stoked that Mindjammer is sitting alongside such RPG industry luminaries as Numenera, 13th Age, Castles and Crusades, and Achtung! Cthulhu as one of Bleeding Cool’s “Must-Have” games at GenCon 2014, taking place this week (August 14-17) in Indianapolis. 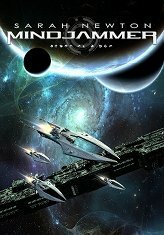 Mindjammer will of course be at GenCon – you can pick up your 500-page hardback of our standalone Fate Core transhuman science-fiction roleplaying game at the Indie Press Revolution (IPR) booth (booth #2221), together with a complementary PDF version of the game. There are also two games of Mindjammer being played – Hearts & Minds at 2pm on Thursday, and A Quiet Extraction at 8pm on Saturday – and check out Games on Demand, too. Wishing all attendees a great GenCon 2014!